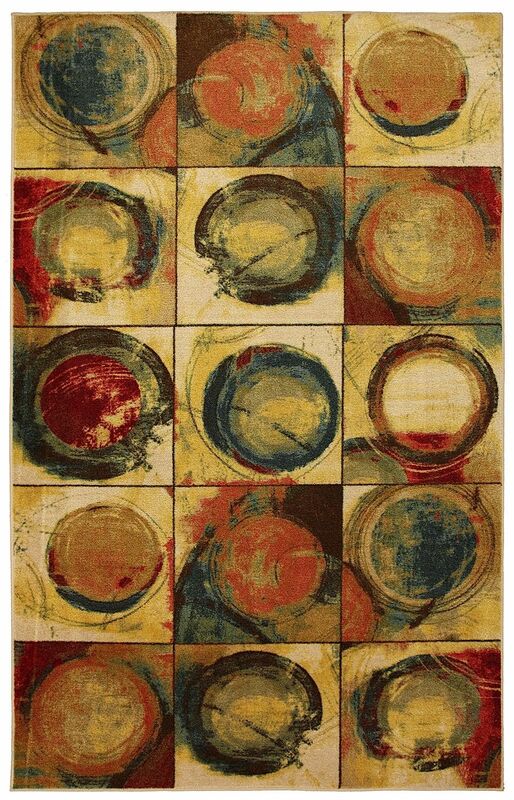 This contemporary Mohawk Home area rug was inspired by modern pop art creations. Cast in a softer, more versatile palette of golden yellow, rich red, blue, grey and sunset orange, this one will enliven any space. This area rug is quality crafted with the superior durability and irresistible softness of our premium nylon fiber. Performance tested to meet strict standards of durability, colorfastness and stain resistance, this area rug is ideal even for high traffic areas.